Just like Jupiter, Saturn is also an enormous planet comprised of gas, mainly hydrogen and helium. On its outer surface – the atmosphere – the gas is relatively thin and has a density that increases towards the planet’s center. But where is the border between the atmosphere and the planet itself? Researchers from the Weizmann Institute of Science who analyzed measurements made by the Cassini probe have found a surprising answer: The border is almost 9,000 kilometers deep. This means that Saturn's atmosphere is far deeper than that of its nearby neighbor, Jupiter. The findings were published in the journal Science, where an international research team surveys the results of the gravity measurements made by the probe on its last orbits of Saturn, when it passed in close proximity to the planet itself – between Saturn and its rings – just before intentionally crashing into the planet, nearly a year and a half ago. The gravity measurements are based on a radio signal that the probe transmitted to Earth: Ground stations accurately measured the frequencies of the radio waves, and compared them to the expected frequency. Using the Doppler Effect, which causes the frequency of the waves to change according to the probe’s motion, scientists were able to calculate whether it is accelerating or decelerating more than what would be expected had Saturn been a uniform planet – namely, had its mass been equally distributed throughout its entire volume. Changes in the probe’s velocity indicate local changes in gravity, which may be the result of mass distribution within Saturn, such as the existence of a core, of wind movements in the atmosphere, or of the attraction of the ring system that surround the planet. Each of the three research groups in the team focused on the effect of one of these phenomena, and the findings provide interesting insight into Saturn. 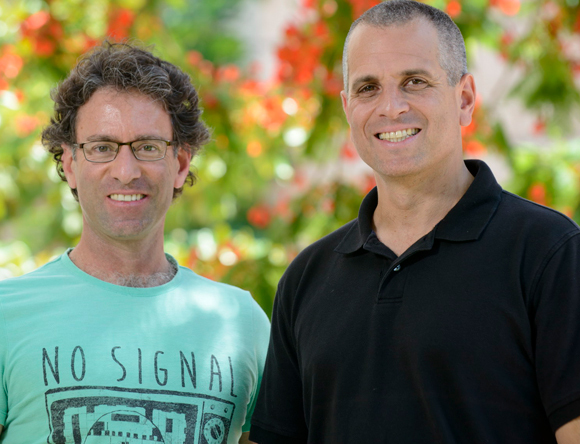 The Israeli research team included Prof. Yohai Kaspi and collaborator Dr. Eli Galanti from the Department of Earth and Planetary Sciences at the Weizmann Institute of Science. They focused on the winds in the atmosphere of Saturn, using a similar method to the one they used nearly a year ago to measure the depth of Jupiter's atmosphere, according to measurements taken by spacecraft Juno. The method is based on a measurement called gravitational harmonics. This is a physical tool for measuring the extent to which the shape of an object deviates from a perfect uniform sphere, from inside and outside. 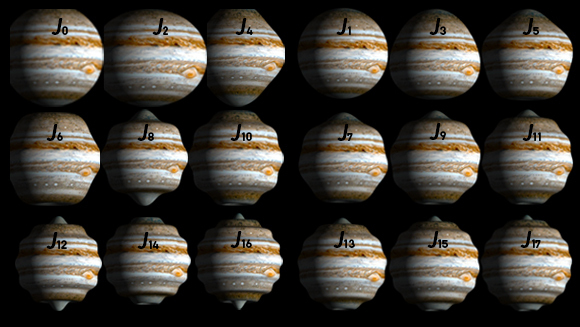 Researchers divide these harmonics into two main types: Even harmonics, denoted J2, J4, J6, etc., reflect the extent of deviation from a spherical shape; and odd ones – J3, J5, J7, and so on – reflect the asymmetry between the sphere’s different regions. In previous studies, Kaspi and Galanti demonstrated that in a planet comprised of gas, the asymmetry is a result of wind motion. The atmosphere is said to end at the depth where this motion stops, and the entire mass spins as one body. In a previous study, they observed that the depth of Jupiter's atmosphere is about 3,000 kilometers under the clouds – about 4% of the planet's radius. The calculations for Saturn were more complex than those conducted for Jupiter, due to the distribution of winds, which are stronger at the equator, as well as the existence of the ring system. Eventually, the researchers determined that the wind depth of Saturn in about 9,000 kilometers – nearly 15% of the planet's radius. The study presents an even more surprising finding regarding the thickness of the atmosphere and the planets' magnetic field. At a certain depth, the gas pressure on the planet is so high that it ionizes the atoms – namely, it joins their nuclei and causes them to emit electrons. The rotational motion of the electric charge acts like a dynamo and creates a strong magnetic field that characterizes gaseous planets. In their study of Jupiter, the researchers noticed that the atmospheric border is more or less the same line that creates the magnetic field, calculated according to gas density models. Examining this data in Saturn, they discovered that once again, the depth of the atmosphere is the same as the calculated magnetic activity border. "The pressure at a depth of 3,000 kilometers on Jupiter is about 100,000 atmospheres, which is similar to the pressure at a depth of 9,000 kilometers in Saturn", explains Galanti. "The findings from both planets most likely confirm the validity of the calculation methods we developed." The study of Saturn's atmospheric depth was funded, among other sources, by the Israeli Space Agency at the Ministry of Science. A more comprehensive survey of the findings was published in a separate paper in the journal Geophysical Research Letters. Can these findings be used to similarly infer with regards to the internal structure of other planets? In our solar system, Saturn and Jupiter are the only gas giants (Uranus and Neptune are likewise gas giants, which also contain solid ice), but there are many similar planets in other solar systems. "From a sample size of two planets it is still a little early to conclude that this model applies to all planets of this kind," concludes Kaspi, "but the compatibility between the findings in Jupiter to those in Saturn definitely promotes our understanding of other gas giants and the role of the magnetic field in limiting the flow depth". Another research group, headed by Burkhard Militzer at the University of California, Berkeley, attempted to use gravity measurements to determine whether Saturn has a solid core. The researchers concluded that the planet indeed has a core, with a mass that equals 15-18 Earth masses (16-19% of Saturn's own mass), which contains elements that are heavier than helium, but they could not establish whether it is solid or not. 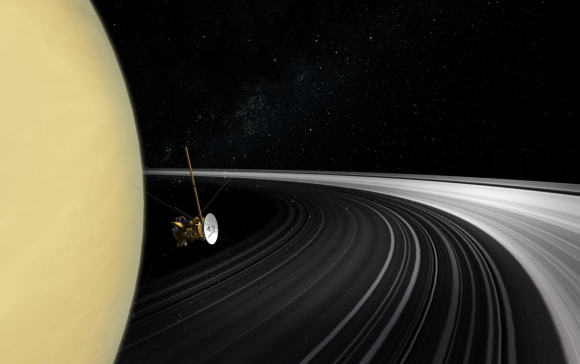 The third group, headed by Philip Nicholson from Cornell University, attempted to use the gravity measurements for calculating the age of Saturn's rings, by measuring their mass. The rings are comprised of ice, but over the years, they accumulate a layer of dust at more or less a constant rate. The researchers knew that the dust mass accounts for about 1% of the total ring mass, but did not know what that mass is. Acquiring this missing piece of information provided them with the mass of dust on the rings, and since its accumulation rate is known, it enabled them to approximate the time at which dust began accumulating – i.e., the time at which the rings were formed. The researchers determined that the mass of the rings is about 41% of the mass of the moon Mimas (about 15,000 tons) according to the gravity measurements and calculated that the age of the rings is 10 to 100 million years. This finding is consistent with previous studies that estimated the age of the rings using other methods. The researchers still do not know exactly how the rings formed, whether it was a gradual event, like a slow deterioration of a comet that was caught in Saturn's gravity, or a faster event that created the material to form the rings, such as debris from a collision between two bodies. If the latter is the case, then the age of the rings may be on the "younger" side of the suggested age range, so that even the dinosaurs that were extinct 65 million years ago, may have had the chance to look up at to the night sky and observe a ringless Saturn.